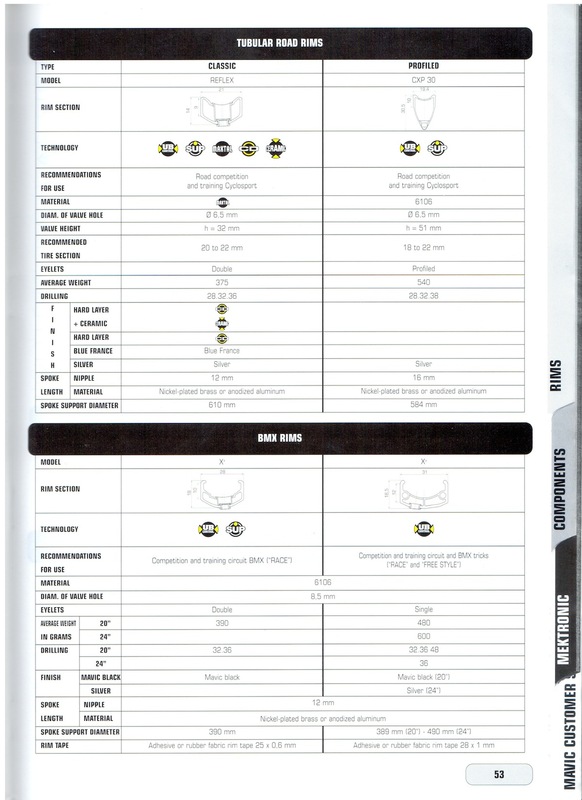 Do you know the differences between all the Mavic CXP rims? For me, its always felt like a bunch of quasi-aero rims with different characteristics were opaquely lumped together under the CXP designation. Very confusing. If you can keep them all straight, I'm impressed. Hopefully, my confusion (and yours, should you have any) will end along with 2011. From Mavic's 1999 catalog, here are the CXP catalog pages for the family members that existed at the time, along with profile and extrusion shots for each of them. Let's start with the highest number and work our way down. The CXP33. 19.4mm wide, 23.6mm high. Welded + machined. "Profiled" eyelets. The CXP30. 19.4mm wide, 30.5mm high. Welded + machined. "Profiled" eyelets. This rim was available in a tubular AND clincher version. The CXP23. 19.3mm wide, 23.6mm high. Welded + machined. The CXP21. 20mm wide, 20mm high. Machined. The CXP11. 20mm wide, 20mm high. There are obviously CXP rims that came out after my catalog (and extrusion collection). I don't have extrusions for those, so for the time being, we'll all just have to consult the information available from the Mavic site. Good luck! Awesome stuff. 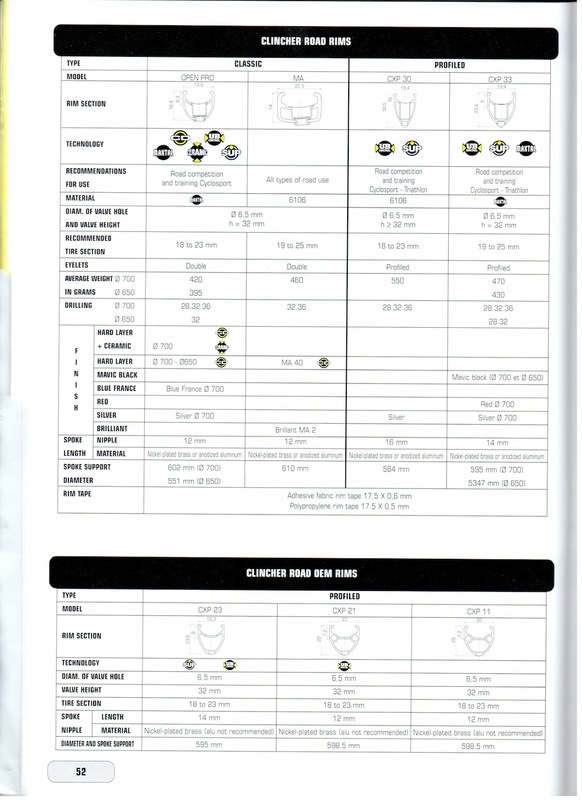 I'm trying to track down some eyelets for my CXP33's and this helped my decision. Great infos ! 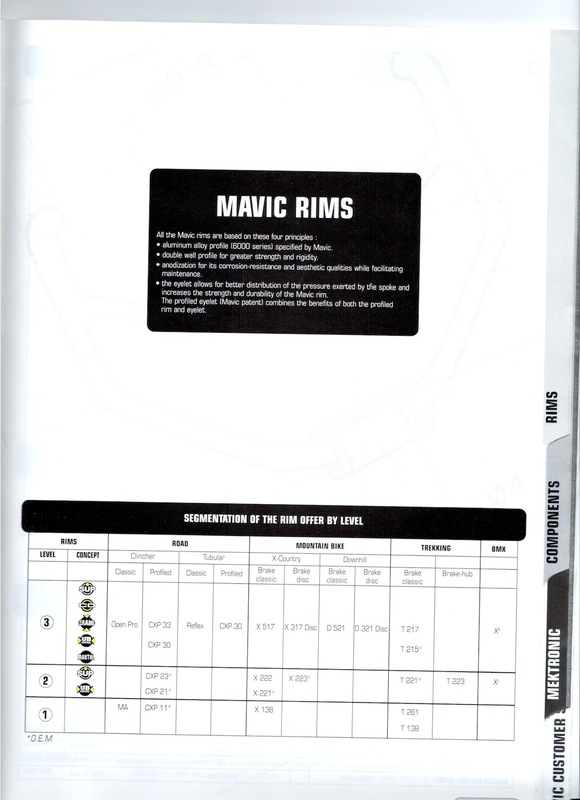 Do you have any experience or suggestions regarding tubeless tire install on Mavic CXP 23 ? Very helpful, thanks. I am trying to figure out the fattest tire I can put on the CXP 21. Any suggestions?